Submit your advertisement to foxoildrilling@gmail.com and we will post it. Not only is Platts the most trusted source of energy and metals information for the industry and industry observers, it’s also a trusted resource for media -- providing sources, surveys, white papers, data, maps and other news content. Platts in the News contains recent broadcasts and articles about Platts or where a Platts expert or Platts content has been featured. · Custom Clearance only, Shipping line only (Ocean Freight), or Trucking only. if you have any inquiry please do not hesitate to contact me by phone or email, thanks for your kind attention and cooperation. I am with the Business Development Team at Arefco Seals Inc.
We specialize in "providing solutions" when certain issues or difficult material needs arise. Some of our customers include, Cameron, Aker Solutions, Drill-Quip, Noble and others. We have developed proprietary material formulas that have enhanced elastomer performance in many applications, particularly when high temperature and high pressure are combined needs. We have also developed a material called Zynate 58 which has proven to be very explosive decompression resistant. We also have Zynephalon, a nano technology tested at 600 F.
We work closely with our customers to assist in finding the best possible solutions while keeping costs very much in mind. - Manufacturer. We can customize to designers needs. - Specializing in critical application components for oil and gas related equipment. - Specialize in low temp up to 600 F.
- Arefco would appreciate the opportunity for new development projects and all other elastomer requirements. I attached a 'capabilities' document as well. Please contact me if you have questions or comments. We could set up a meeting to go over anything you'd like to discuss. Attached above is a few drilling items for sale. Can be sold individually. If interested, please do let us know. Should you need further information or clarification on the above subject, please do not hesitate to let us know. We are an INDIA based Web Services Company with primary focus on Website Designing & Development with PHP development. We have a dedicated team of 270 professional’s designers, developers and SEO especially for Graphic/Flash; we thrive on the idea that design makes a difference. We can provide you with a fresh, professional image via a recognizable trademark or logo design.We have our competency in CMS (Joomla, Drupal,WordPress,Modx, Mambo and other quality Content Management System) and ecommerce website. Our design team can work closely with you as part of your marketing staff and will seek out your company's needs to create a unified message for your business.We customize our processes and reports based on client's styles and guidelines. We NEVER contact your end client in case if you are agency client and sign up the NDAs with you.Most firms overseas have achieved a significant amount of savings by outsourcing either complete or part of their work to us in India.I would like to request you for an opportunity to work and AMAZE you with our services. We wish you the best of luck and looking forward to a long and healthy business relationship with you and your company. If you have any query, we will be more than happy to provide you our quick assistance. I am looking for 6 qty – 2” 90 ° ploy ground elbow . Do you have this item? If so could you quote me price, availability, FOB point and weights? I am enclosing our product sheets for you to review. We specialize in Gamma/Resistivity Logging Software, Full Rig Monitoring Packages and Engine Monitoring. We currently sell our equipment to domestic or foreign rig contractors and MWD companies. If your customers are looking for an alternative to renting Pason or NOV we are a great solution. Please contact me directly if you have questions on products or service. I am taking this opportunity to contact you on behalf of Aradyne Windsocks and Flags. We have been selling a quality product for over thirty years, shipping all over the world to provide safe and reliable wind direction to both commercial and governmental use.We are located in Brookshire, TX approximately 20 miles from Houston. Your companies are very impressive and we would like you to consider us when you need to reorder windsocks or flags for your various locations. We can also make custom products. Some of our prices are in the attachment. Call me if you could be interested. for quotations on Pulsation Dampener parts, Clutches and brake parts. Bronco manufactures replacement parts for National, Oilwell, Emsco, Gardner Denver, Ideco and OIME product lines. This covers Drawworks, Mud Pumps, Swivels, Rotary Tables, Traveling Blocks, Brakes & Clutches. We currently have around 8 million dollars of inventory between Texas & Oklahoma. Bronco is a Master Distributor for Crosby / McKissik and does very well on bearings as well. We are ISO 9001 Certified and provide 100% product traceability. We can also provide special machining services with good turn around. You can send any inquiry over to me for quotation. We recently removed a Triplex pump from an offshore vessel per the web page link below. Would you be interested in this equipment for one of your rigs? Just wanted to find out if you or anyone at Fox Oil buys seamless or welded line pipe. Attached is my line card. Is this something we can help with in any way? T: +971 4 2387880, F: +971 4 2387881 , P.O.BOX 76288, DUBAI, U.A.E. In Oman,Three Lines operates as Three line Cargo and Clearing Services LLC. 38, DLF Industrial Area, Kirti Nagar, New Delhi - 110 015, India. Telefax. : +91 11 25191789, 25457339, 41425532, 41426023. Additional Lifetime of components in Hydraulic system. Reduced downtime & Servicing cost. High structural strength of elements. Over 35,000 Hydraulic Cylinders at your Fingertips! Oil Rigs both off-shore and on-shore encounter some of the most demanding conditions in the world. Additionally, the drilling sites are often located in remote areas that are far from civilization that prohibit servicing of rigs. In the Oil-Field, down-time is unacceptable as it is usually measured in millions of dollars. These demanding applications require rugged and reliable Hydraulic Cylinders that keep down-time to a minimum. The choice is easy, only "Xtreme Cylinders" for the most extreme applications. When down-time is measured in millions dollars, fast delivery is the biggest object and quality is sometimes forgotten. With Xtreme Cylinders, you get the best of both worlds. Replacement Oil-field Hydraulic Cylinders manufactured by Parker-Hannifin that are in stock, ready for shipment. I’m Jory from Wetland Equipment. I wanted to share with you some of our equipment that could possibly assist in your kind of work. We are a manufacturing company for over 50 years in the USA that builds “pontoons” are undercarriages that can float. We can build floating tracks for any size excavator and also carrier buggies that can allow your company to drill and move through marsh, swamp, and extremely muddy areas. These carriers come in various sizes and can hold up to 40 tons. Our machines will float 100% even with full loads. Our machines are made to go where no other machines can. Please see our web page and contact me if your company can use our services. We can ship all over the world. We buy excess, used or obsolete drill pipe, casing, tubing, rod, etc all throughout North America. We, a new private Kazakh Oil Company "ZhKcompany" ltd co, have been established recently 2-3 months ago, are searching for oil-company which have intends buying an oil-field or jointly working together with us it. We know an oil-field with great oil reserves in Kazakhstan. If you find our offer interesting contact please. Kazakh Oil Company "ZhKcompany" ltd co.
Zep. We would like to provide you with a free sample of our product. I have attached some product flyers that will provide more information on the versatility of our product. This will give you the opportunity to compare our product with what you currently use. Harsh Marine is a leading supplier of used marine ship machinery based at Alang, Gujarat, India; the worlds largest ship-breaking yard. We also provide ship buying & selling services and we have our own ship-breaking yard. We have been satisfying our customers needs and providing value for their money since last more than 15 years. Main engine,Marine Machinery,Marine Equpments,Marine machinery,Fresh water generator,Auxiliary Engine,Turbo Charger,Ship Pumps,Shiping Compressor,Turbo Charger,Marine Machinery India,Anchor & Chain,Main Engine,Boll & Kirch Filters,Life boats,Main engine spars etc. We help ship managers to avail all their machine requirements at a single point. What makes Harsh Marine the best in the industry? · Backward Integration: One of its own ship-breaking unit & more than 20 in group. · An intensive State-of-Art Work-shop. · Skilled task-force for servicing & reconditioning of machinery. · Chemical Cleaning, Crack Testing, Pressure Testing for Plate cooler, heat exchanger plates and condenser. · Calibration of parts, Main Engine, DG Set, Air Compressor, Oil Purifier, Turbo Charger etc. · Working trial & Inspection Facilities for Pump, Oil Purifier, Compressor, DG Set etc. · Extensive Library containing more than 3000 marine engineering books. · Full servicing like reconditioning, by replacing all the damaged spare parts with reconditioned or new parts, everything as per company manual. · Customized services for our valuable clients. · Client needs & Customer Satisfaction. · Guarantee of Goods supplied. · Classified third party inspection. · Belief in Win-Win long term relationship. I would like to introduce my company Vajra Rubber Products (P) Ltd , and the rest of the Core International Group of Companies . We manufactures rubber and plastic products that is used in Drilling , Production and Well Servicing. We have state of the art ISO 9001 facilities located in India , Malaysia And Houston with distribution centers located around the world. In addition to custom molding capabilities, we also offer a complete line of Oilfield Rubber products. We have a complete line of BOP replacement parts as well as elastomer products for the Drilling, Well Servicing and Completions segments of the Oil and Gas Industry. We are a preferred vendor for National Oilwell Varco USA and supply product to other internationally recognized oilfield companies such as Nabors Drilling, Weatherford USA , Cudd Pressure Control, Boots and Coots etc. We are specialized in making aero space rubber components. Butterfly valve seats and other gaskets used in flow control are one of our other specialties. We recently made the worlds largest butterfly rubber valve seat (96'' ID). We have hydraulic presses ranging from 12'' x 12'' to 150'' x 150'' enabling us to make small to ultra big parts. We have in-house CNC tool room enabling us to make our own moulds. Other in-house facilities are lab, mixing unit, and design department. We are one of the consolidating companies in Dubai, we have professionally trained staff in procuring and packing according to the customers satisfaction. We also can provide with necessary certificates such as HEALTH CERTIFICATE AND CERTIFICATE OF ORGIN on request and the charges for this will be cost basis. I am attaching our brochure for your consideration and some references, let us know your interest. and Telecom related Industries . We can handle door to door or door to port . * Decompression Unit / Rollers Support from Singapore to India / Middle East , just to name a few . This would means that we could pick your shipments and deliver to your customer’s door via one stop service – Hassle Free! 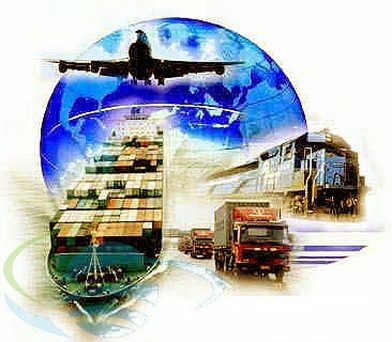 ZND is involved in export and wholesale goods worldwide. Our Manufacturer's unit is in this business since 1948. ZND Anti-seize Compounds were specifically designed as a superior product in the prevention of galling, seizure and corrosion due to high heat, extreme pressure and corrosive environments. Our product mainly for use in most manufacturing and processing facilities as well as heavy equipment, marine, transportation, automotive, aircraft, railway, construction, nuclear power plants, petro-chemical, refineries. tongs with an integrated back-up. I have car, office department, 5 computers, copier and printer with business contacts. in the oil sector and Pemex. We are pleased to introduce ourselves as a manufacturers and processors of Bentonite Powder, in India, with the production capacity of manufacturing 80000 MT per annum..
“Quality Products and Services” has been the Company practices which is oriented towards the needs and satisfaction of customers. The activities of the Company are geared towards on-going optimisation and product innovations to ensure customers needs are constantly meet via products and solutions offered. The manufacturing and warehousing facilities are strategically located at Asambia, Tal Mandvi; KUTCH-Gujarat (near Kandla and Mundra Port) and Products are manufactured using only high quality raw materials to ensure consistent quality and performance of products. The Company practices stringent manufacturing and quality control procedures to conform to highest performance of products. Contact us for custom sizes and pricing! Satellite Specialized Transportation is committed to satisfying all of your trucking needs. Our single goal is to provide our customers with reliable and professional service. Thank you for the opportunity for allowing me to introduce myself, and Satellite Transportation. Please feel free to contact me anytime.